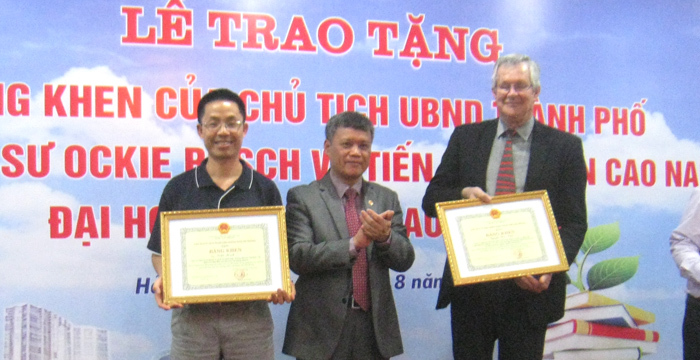 Professor Ockie and Dr Nam has established Haiphong as an Evolutionary Learning Laboratory for Integrated Systemic Governance – a World First – for enhancing cross-departmental communication and active collaboration through the use of systems approaches and tools. 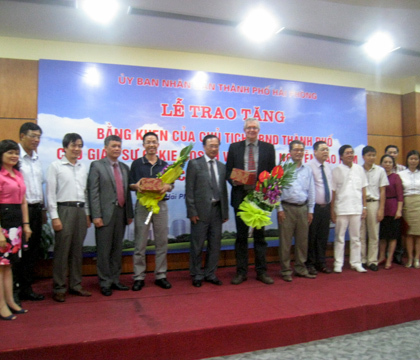 Capacity building workshops on “a new way of thinking” for large groups of people, from the Leaders in Government to those responsible for implementing policies, enabled the Haiphong Government to use these tools themselves. The two researchers have also introduced the Ecopolicy Cybernetics game to high schools and universities and more than 50,000 students have so far been exposed to the concepts of systems and interconnected thinking. A significant outcome was also that the Chairman (Premier) has decided that all government officials will also become involved in the cybernetics game (competitions within and between departments) and all strategic plans of all departments are today being developed using systems thinking as the basis. 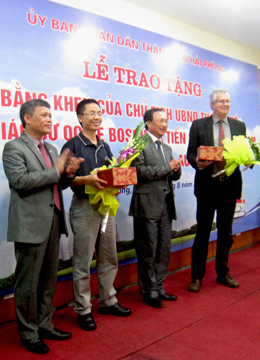 Their research and capacity building are currently extending (on demand) to various other parts of Vietnam. This entry was posted in Research, Systems Design and Complexity Management and tagged awards. Bookmark the permalink.